Friday is here y'all! We've been feeling the stress of being an adult the last couple of weeks. So we really needed to make an effort to make time for some much needed self-care! Here's just a few of the items that have been helping us get by and bringing some joy into our lives. Keep on reading to discover some of your future favorite items! The older and wiser we get the puffier our faces feel in the morning. Anyone on the same page? We love our night creams and skin care routine but if you are looking for an alternative way to soothe that skin we recommend the Herbivore Jade Roller. We like to pop ours in the refrigerator for some extra cooling in the AM. Not to mention the jade green color is everything a heart could desire! Have you ever wondered what heaven feels like? Well Pure Life Company has figured it out. 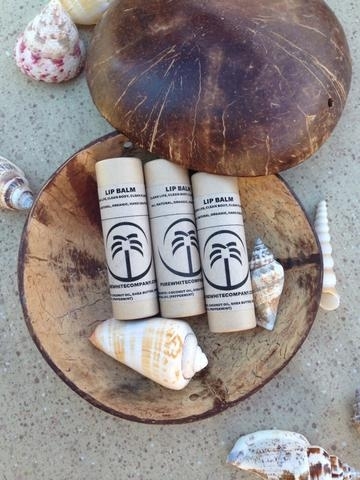 This lip balm is made of coconut oil, shea butter, bees wax, and peppermint essential oil. No chemicals, just natural ingredients that will keep your kisser soft and moisturized! We don’t know about you but we typically need some extra words of encouragement when it comes to doing those last few sit ups or doing another yoga move besides the Savasana pose. We love our Ban.do mats! Our fave is the “I Was Told There'd be Wine" because sometimes we need liquid motivation too! We have talked about these delicious snacks before but they made our faves list this week! If you're trying to stay away from the potato chips these are a better alternative. We love the ginger and lemongrass flavor. It's the perfect combo of a sweet and spicy treat! This is the perfect toner! We don't really care for the smell of witch hazel but the addition of rose petals covers the smell right up! Remember to put yourselves first this coming week and practice some self-care! We want to know your fav go-to products to treat yourselves so share with us in the comments below!